We start this week with a new podcast - the PHP Web Development Podcast with Mathew Kimani. In the first episode Mathew covers current PHP statistics. Also we take a look at using the toolkit Serverless Framework with OpenWhisk PHP. The 20th Oscon takes place next month in Portland. Tickets are currently on sale, with the Early Price discount ending on the 8th June. Plus, if you are interested in Eloquent, we have a new course on connecting to a database with Laravel's Eloquent ORM. And finally, we have an article about why you should be contributing to open source projects in 2018. Here is a list of the most used PHP native functions, named and ranked from 1 to 100. Open source can change your life. It has changed mine with Corcel, an Open Source project that I started in 2013 which changed who I am and how I live. Read this article to learn more the story of the project and how it became a passion for Open Source projects that is probably like yours. In recent years, as the online industry has grown, PHP developers are becoming more important and sought after. It is important to know just what you are looking for in a developer and what a PHP programmer can do for your business. The language is seeing popularity steadily trend upwards with no signs of slowing down and the amount of developers that want to get started in the industry are innumerable. Here are 4 questions to ask to help find a PHP developer for your needs. I'm a big fan of enums. Having recently worked for a company who use C#, where enums are used extensively, I've got used to being able to reach for them and miss them when they're not available. Futhermore I've created a Laravel package called laravel-enum which allows you access helper functions such as listing keys and values, attaching descriptions to values, and validating requests which are expecting enum values. This guide walks through the process of installing the Laravel package and includes examples of usage and best practice. Serverless Framework is a toolkit to help you manage and deploy a serverless application. (Personally, I’m not a fan of the name as the word “Serverless” already has a meaning in the same space!) It’s a useful tool and supports all the major providers, though AWS Lambda seems to be first-among-equals. The OpenWhisk plugin for Serverless is maintained by the rather excellent James Thomas, so if you have any questions, ping him! As I build more complex PHP based OpenWhisk applications, I thought I’d explore how Serverless makes this easier. We will learn how to use NEM blockchain to create wallets. We will integrate NEM with Laravel Framework and build the web app. You should be familiar with making apps with Laravel framework and you need a fresh Laravel Installation. In this article, we're going to explore the PhpFastCache library, which allows you to implement caching in your PHP applications. Thus, it helps to improve overall website performance and page load times. Serverless basically means “Running apps without worrying about servers”. Obviously there are still servers involved, the main difference is that you do not maintain the servers and reserve their capacity. They are scaled up or down automatically and you pay only for what you use. This article intends to explain what serverless means for web applications and more specifically for PHP. The concept of “embracing failure” is big in the tech industry. Fail fast, fail often! is almost an industry mantra. But there’s an everyday type of failure that doesn’t get much attention in the product development process. That’s right. The humble error message. Tighten is a consultancy. That means we're not just a product company; we also work on other people's applications and sites. Frequently, one or more of our developers will be tasked to work with the same client for months. Every day they wake up, open up Slack--which is the primary tool Tighten, as a remote company, uses to build culture and relationships--and switch to the client's Slack. CakeFest is organised for developers, managers and interested newcomers alike. Bringing a world of unique skill and talent together in a celebration and learning environment around the worlds most popular PHP framework. Celebrating over eleven years of success in the PHP and web development community, CakePHP’s 2018 conference will be an event not to miss. Tickets are on sale now. OSCON is the complete convergence of the technologies transforming industries today, and the developers, engineers, and business leaders who make it happen.The 20th Open Source Convention takes place next July. From architecture and performance, to security and data, get expert full stack programming training in open source languages, tools, and techniques. Tickets are on sale now, with the Early Price discount ending tomorrow. After a very successful edition in 2017 we aim to push this community driven conference to the next level in 2018. For the first time we will offer a full day with workshops, so you can get the most out of our excellent trainers. On the second day our international speakers will provide you with great sessions in a single track. We are committed to creating a unique community experience - an event where everyone is among #PHPriends. This week Cal spoke to Brett Florio and the Foxy.io crew about the history behind the company and the roles each of them has within it. MageTalk Magento Podcast #171 - "Bob's Your Uncle"
PHP Roundtable Podcast Episode 72: Secret Project Revealed! Topics include solving a 43Mb favourites list and testing FTW. Jake and Michael make their return to discuss event sourcing, auditing and reporting, and finite state machines after a busy real life schedule kept them away from recording for a month! In this week's episode, Mathew covers current PHP statistics. He will hightlight why developing relationships with good agencies is key to finding good jobs and especially contract and remote jobs. In case you missed it, ZendCon is coming back to town - and it's going to be quite an exciting one. In Part 2 of this series I discussed what web frameworks are and, in (very) broad terms, how they worked. Now it’s time to take the first step toward actually building a framework. Many of our interviews are focused on digital agency owners, who build websites for clients using specific technologies and tools. Today, however, we wanted to highlight the challenges involved in running a web development agency and the future of PHP. Simple patches plugin for Composer. Applies a patch from a local or remote file to any package required with composer. This web application allows everybody without any particular knowledge required in webmastering to create his own website. FreshRSS is a self-hosted RSS feed aggregator. It is at the same time lightweight, easy to work with, powerful and customisable. The Nex-Gen Private Torrent Tracker (Aimed For Movie /TV Use). Generating, validating and processing secure forms in PHP. Handy API, fully customisable, server & client side validation and mature design. Crypt_GPG is a PHP package to interact with the GNU Privacy Guard (GnuPG). A very simple session middleware for Slim Framework 3. 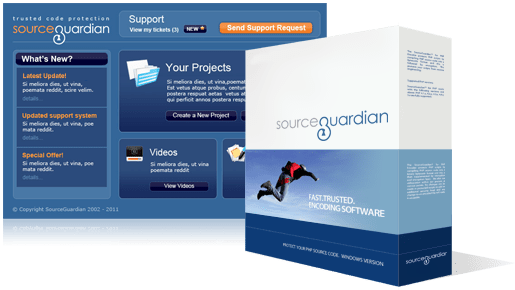 A free, open source software that lets you share files with your clients, focused on ease of use and privacy. It supports clients groups, system users roles, statistics, multiple languages, detailed logs... and much more! The most popular open source electronic health records and medical practice management solution. ONC certified with international usage, OpenEMR's goal is a superior alternative to its proprietary counterparts. A lightweight Content Management System (CMS) in PHP, Model-View-Controller oriented.